Working to Live or Living to Work? I’ve been quiet around here this year–seems that my writing days have been far and few these past couple of years. Inspiration strikes when it does, and sometimes it can be quite fickle. We started our third year of Hashtagitude earlier this year, and so far it’s been a bit of an uphill climb for us: although the local economy may appear to be on the upward trend, it also seems like many business owners are buckling down on their budgets. My weekly schedule has become a lot more regular with going into the office almost daily and growing our team. I’m not working much on weekends anymore except for special occasions, so I’m not burning myself out as frequently. Over the long Memorial Day Weekend, while enjoying the charm of Colorado mountain towns with Ryan, I began to ponder: are we all just working to enjoy our ‘time off’? Do any of us even enjoy what we do for work? I’m not saying I don’t enjoy what I do with my business: it’s definitely been more enjoyable and rewarding than my previous two businesses. 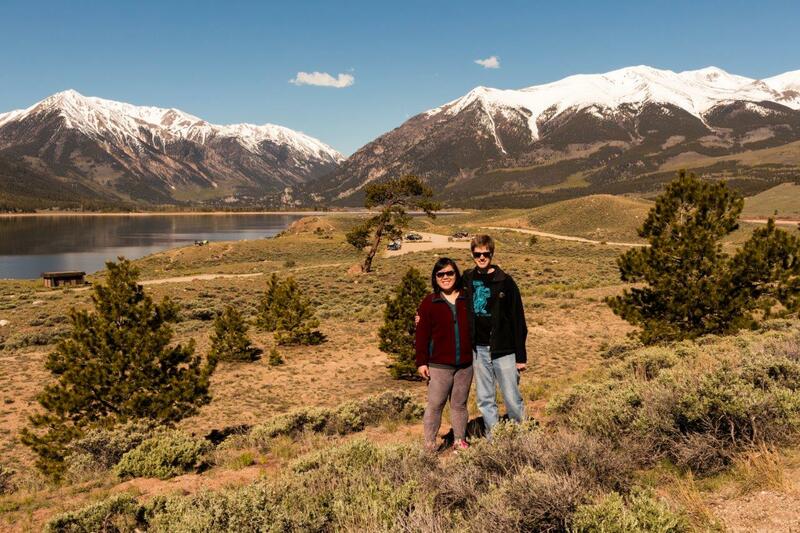 Yet, I felt such a sense of relief when we went away that weekend to relax and explore other parts of Colorado–with little to no cell phone service. Once the feeling of returning to the office settled in on Monday evening, I became sad over the thought of going back to work. I know, nobody is forcing me to work–it’s my choice to own and run Hashtagitude. I enjoy what I do–but I am also human and love my time off. Even for my friends and family who enjoy their line of work, I see how happy they are when they are able to take vacations, take some time off. We’re not meant to work 24/7, even with work that we love and enjoy. I guess what I’ve found intriguing with this line of thought has been that, despite all that we may tell others (or read about in the news), even if we do love what we do for work, we all crave that time off to be able to fully appreciate our journeys in life. Posted on June 6, 2017 Categories Life Decisions, Thought of the MomentLeave a comment on Working to Live or Living to Work? On the eve of my birthday, I sit here feeling simultaneously stressed out, worried, confused, elated, happy, et. al. It has been ten days since the inauguration of our country’s new leadership: ten days of angst across the country, as I obsessively scroll down my social media news feeds, consuming all the information that has come through and observing everyone’s terrified reactions. I have been trying to figure out what I can do amidst all this confusion and anger felt around me, which is why I have been mostly silent about current events. Part of me feels like there must be more that I can do and say. Part of me feels guilty for solely focusing on my work even when I see how much anguish people are feeling around me. I was very vocal after the election, and many friends from different walks of life reached out to me because of how I expressed myself through Facebook live videos; yet, I also felt exhausted after I put myself out there. There’s that part of me that wants to focus on the happier things in life: my birthday is tomorrow and I want to spend the day in celebration. It is hard for me to believe that it’s been seven years since my near-death experience, and how much I have grown personally and professionally since then. Celebrating the Lunar New Year on Saturday. 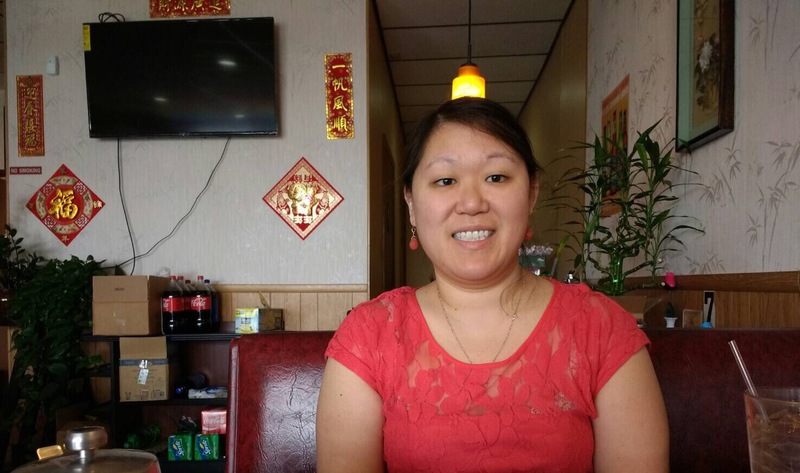 Saturday marked the start of the Year of the Rooster in the lunar calendar: this year was the first time in my whole life where I paid special attention to the pre-Lunar New Year rituals and made sure to follow all of them before midnight on January 28th. Celebrating my ancestral heritage, primarily by consuming delicious foods that remind me of home: dumplings, roasted duck, noodles, etc. Gung Hey Fat Choi! There is happiness, and there is sadness. Perhaps I am not alone in how to feel–because yes, if we all turn a blind eye from all that is coming out of our leadership, then we’ll bury ourselves alive. Yet, must we not also cherish the happier moments in our lives and be grateful for what we do have in the present? Isn’t there still good in this world? Love Your Life, Not Theirs: Rachel Cruze’s Refreshing Point of View Does Not Disappoint! Love Your Life, Not Theirs, is now available online and through national bookstores. Image credit to Rachel Cruze. Last year, I had written about how Ryan and I enrolled in Dave Ramsey’s Financial Peace University. Since graduating from the course, at least one of us (ahem, *me* hehe) has kept up with a monthly budget via EveryDollar. I am seriously about budgeting now, according to my family. 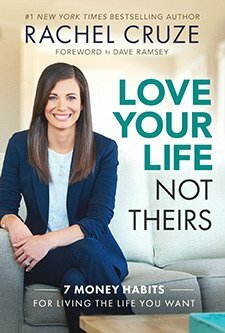 When I had heard about Rachel Cruze, Dave Ramsey’s daughter, releasing a book called Love Your Life, Not Theirs:7 Money Habits for Living the Life You Want, I knew I had to pick it up. Fortunately, I was selected as one of her early reviewers, so I received a copy of her book to consume these past couple of weeks. My verdict: a wonderful refresher from Financial Peace University; Rachel’s energy is so magnetizing, just like her father. Her writing is down-to-earth and very relatable: I especially like that the first habit listed in the book is about quitting the comparisons. I could definitely relate when she talked about the #blessed photos, status updates, etc. on social media. Haven’t we all been in that place, comparing ourselves to others? I read a lot of personal development books and articles, and even though the idea of quitting comparisons keeps getting hammered into my head through these other sources, Rachel’s insight into the comparison trap, *especially* when it comes to money, really hit the nail on the head. Since I did take Financial Peace University (FPU) previously, the six remaining habits were more refreshers for me than any new material learned. But, I’d say that Rachel’s book is good for any person or couple who is looking to get their finances in order. Whether you go through FPU or simply read Love Your Life, Not Theirs, you will glean a lot of useful information on how to take charge of your finances, once and for all. If you read Love Your Life, Not Theirs, let me know! I’d love to hear your thoughts about the book. Posted on October 6, 2016 Categories #amreading, Review TimeLeave a comment on Love Your Life, Not Theirs: Rachel Cruze’s Refreshing Point of View Does Not Disappoint! The Second Half of 2016 Starts Now: Are You Ready? It’s so cliche to say, but wow, the first half of 2016 definitely flew by. It’s safe to say that 2016 has treated me quite nicely so far: the first half of the year stayed eventful and things are definitely on the up and up with work and the rest of life. I find that my focus this year has definitely been on a better quality of life and more personal/professional development. I have started meditating daily (thanks to Conscious Transformation), and I have been reading much more avidly this year versus the last couple of years. It helps that I have daily train rides to give me time to read; I rarely make time to read at home, sadly. In the past month, I have been keeping track of my time at work and I find that my focus has been much better for it. I am more intentional about what I am spending my time on, so I don’t end up wasting time on checking emails/browsing Facebook. When 2016 began, I was anticipating huge growth for Hashtagitude. While business has definitely grown, it has also been at a ‘slower’ pace than expected. However, I am not disappointed! I realize that everything is moving along at a quite normal pace for a small business, so that’s comforting at least. This time last year, I sensed that big change was about to occur, and I again feel the same about this year. We will see what the second half of the year will bring in terms of changes: take it all in stride and enjoy the ride! Posted on July 1, 2016 Categories Slice of LifeLeave a comment on The Second Half of 2016 Starts Now: Are You Ready? 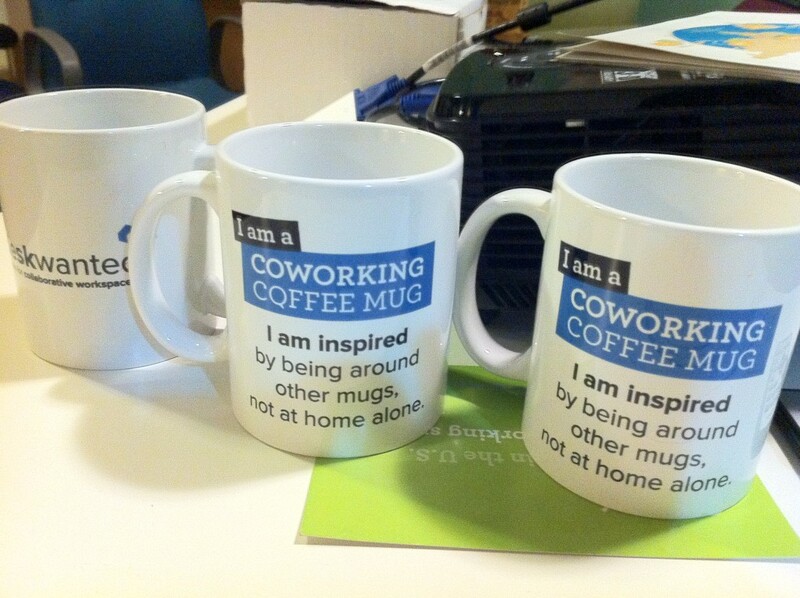 Mugs at Creative Density. Photo from 2012. 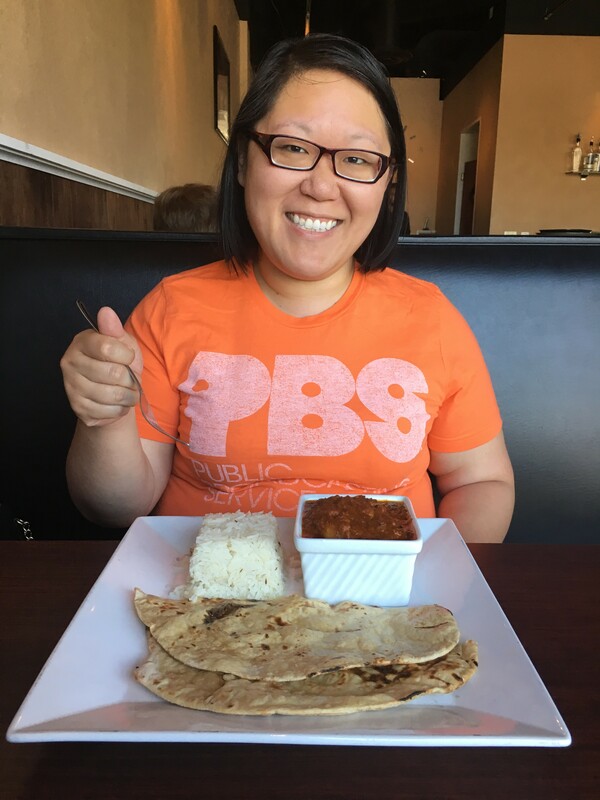 In honor of the upcoming Denver Coworking Week (May 16 – 20)--which is a full week of celebrating Denver’s growing coworking space with free coworking days plus fun activities–I want to highlight my top five coworking spaces in Denver. Even though I have not talked about coworking much on this blog, I have tweeted about it quite a bit over the years (I even have a Twitter list called Coworking Rocks!). I began my journey into the coworking world in late 2011/early 2012: I LOVE the concept of sharing a professional working environment with others and building that community. Once I started my first business in 2012, coworking spaces became a lot more enticing to me (versus working from home or hanging out at a coffee shop). 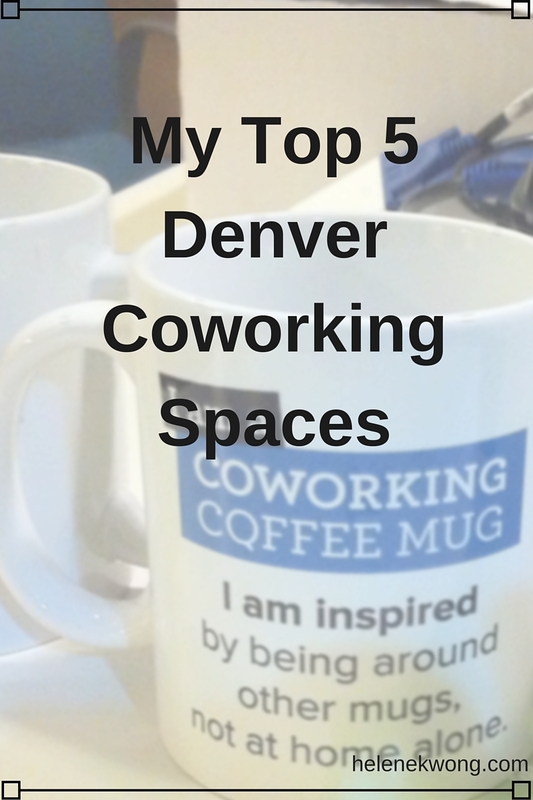 I chose these five coworking spaces in Denver because either I was/is a member of the space, or I have visited the space for a day pass and enjoyed the vibe. What I love about all five spaces is that they are locally owned and operated and maintain great atmospheres in their spaces to foster community growth.